This popular event for pet owners and animal lovers alike attracted over 5,000 visitors in 2014. 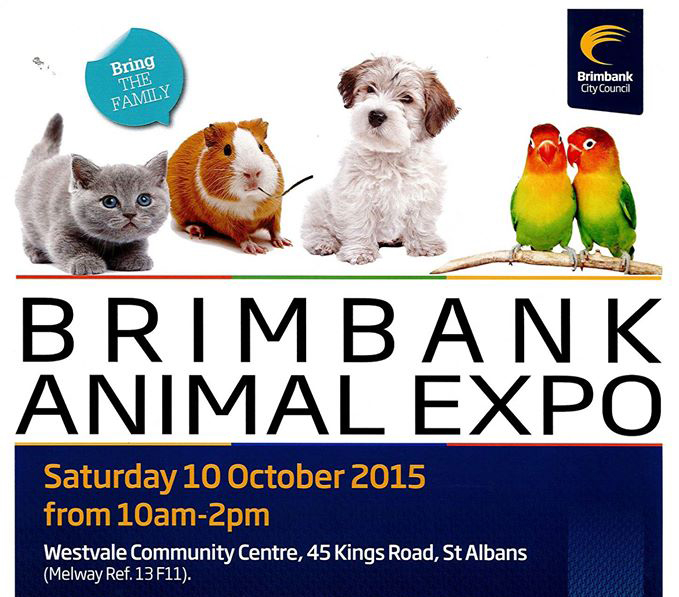 The 2015 Brimbank Animal Expo promises to be just as big with a packed program of interactive demonstrations and great advice for responsible pet ownership. Brimbank Vet Clinic will be on hand to answer questions about pet health and provide micro-chipping at the discounted rate of $25 while Council will register de-sexed and micro-chipped pets at no charge. Highlights for dogs and their people include Lure Coursing and demonstrations by Disc Dogs and Howling Huskies with Yappy Hour TV. Among various giveaways, Secureakat will be donating one of their nifty CatKubes to be raffled on the day with all proceeds going to Second Chance Animal Rescue. Tickle a pet rat or hug a cute chinchilla cat among many indoor exhibits and take your pick from a great range of animal treats and accessories on offer. Get up close and personal with Animals of Oz and Missy J's Animal Farm. The amazing Tubby the Robot will be there with his own pet 'Flapper'. A jumping castle and lots of animal themed activities and entertainment at no charge complete a great program for the whole family including its four-legged members! Australia Dog Lover is a free digital monthly magazine and website aimed at promoting responsible dog ownership. All material is protected by copyright and may not be reproduced in any form without prior written permission.